How are these still a thing? On the Armada, Function meets Form, and then basically gives Form the finger. The few attempts at style on the Armada are notable for falling flat. 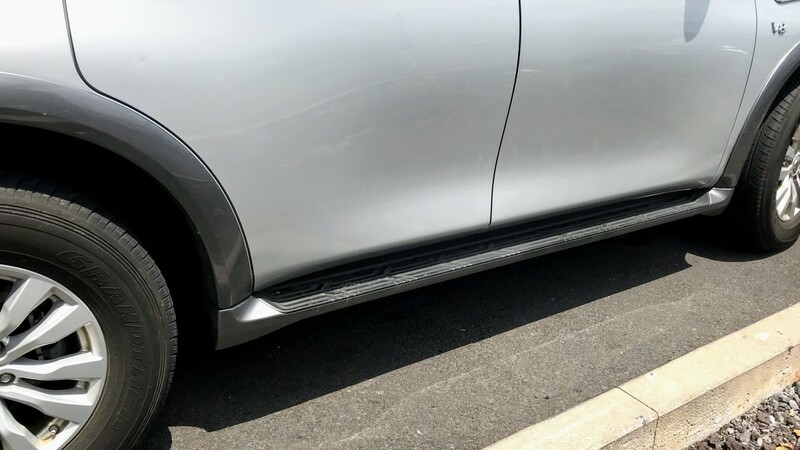 Take for example the fake fender vents: These had a brief resurgence in the early 2000’s after being reintroduced by Maserati, and then Buick. However, the look was quickly copied and soon became cliché. Heck, by 2008 even the Ford Focus had fake fender vents. Here we are in 2018, and the look is definitely past its sell-by date, but the Armada still sporting them like something from the clearance rack at Marshall’s. And yet this is more than just a car devoid of style, proudly wearing its function on its (highly unstylish) sleeve. It is a complete rebuttal to the Harley Earl longer, lower, wider school of design that has dominated the auto industry for 75 years, and is finally losing its grip. Before 1940, virtually every car sported some variation of two box styling: small box up front for the engine, and larger box for passengers and cargo. They had relatively tallish wheels and tires, and a body that sat above the frame and lots of ground clearance. They had tall, upright grilles and running boards for easy entry and exit. While Harley Earl wasn’t the only designer playing around with lower cars (period designers like Gordon Buehrig and others were experimenting with similar themes), Earl’s outsized influence as head of design at General Motors gave him the bully pulpit to drive down the entire industry (literally). Wheels and tires became smaller, rooflines dropped, and bodies sunk down into the frame, and running boards quickly disappeared. Compare the two pictures above, the top a 1935 Chevrolet, and the middle a 1949 Chevy. Forget the calendar: Thanks to World War II only ten model years separate the top two cars. And then compare the Armada on the bottom: Small box up front for the engine, and larger box for passengers and cargo. Tall wheels and tires, and a body that sits above the frame and lots of ground clearance. A tall, (reasonably) upright grille and running boards for easy entry and exit. Sound familiar? At 75 years old, The Harley Earl doctrine has had a good run. In fact, it lasted longer than I would have guessed, given how impractical it is. 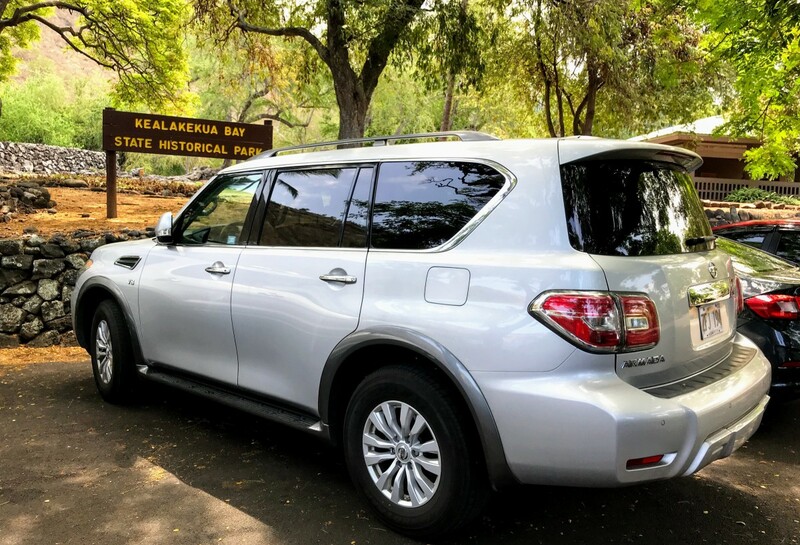 But its time has passed, and we are quickly entering the Post-Earl world of crossovers, sport utility sedans, and body-on-frame SUVs like the Nissan Armada. A world where Ford will soon no longer sell traditional three-box cars in the United States at all. Need further proof? Let’s take a closer look at that Nissan Armada. The first thing you notice is the unabashedly boxy two-box shape (no fast sloping rear window here). When you step up into the car, you are greeted with a definitely-not-a-running-board side step to help you climb in. And make no mistake, you step up into the Armada, just like Grampa’s Model A. The body of the Armada sits on top of the frame, not down in it, as evidenced by the perfectly flat floors front and rear, despite having a driveshaft and low-speed transfer case tucked underneath. That high seating position unfortunately also contributes to that unique SUV phenomenon: The lateral head bobbing that occurs whenever you hit an uneven bump (an affliction that Grampa’s Model A also suffered from). The vertical tail conceals enormous amounts of storage space, even with the third row seat deployed. Indeed, I have come to appreciate the space efficiency of early cars, and have begun to realize that Harley Earl’s emperor has no clothes. (Compare the interior space of a 1930’s Chrysler Airflow to just about any sedan from 1950 to 1970 and tell me which has more room). Of course all analogies are imperfect, and this one is no different. The Armada is loaded with comfort and convenience features its 1930’s counterpart could only have dreamed of. It also packs a 390 hp 5.6L DOHC V8 engine whose effortless performance far eclipses that of even the most powerful 1930’s Marmon or Deusenberg. 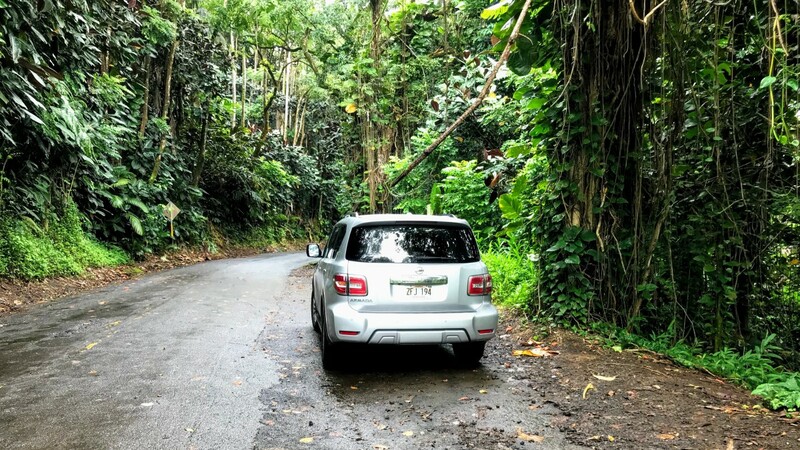 The gas mileage I observed (12.4 by the trip computer, 10.5 by my calculations) is more 1938 than 2018, although part of the blame can be laid at the large amounts stop-and-go and mountain driving that one experiences in Hawaii (as well as my heavy foot). So at the end of the day, would I ever consider getting one? Absolutely not, as I like my cars smaller and in a flavor other than vanilla. The Armada is, like the Island State itself, a great place to visit, but one in which I wouldn’t want to reside. Everything that made it a great vacation ride (size, heft, V-8 engine, passenger and cargo capacity) make it a poor choice for my daily 30-mile solo commute to work. So I will be sticking to sedans to for the foreseeable future, while renting SUVs as needed. And while I may not be completely done driving sedans, I can now understand why the majority of car buyers are. The new style Armada was a huge improvement over the model it replaced. That being said, it still doesn’t approach the gold standard- the GM triplets of Tahoe (least bling), Denali (semi bling), and Escalade (full bling). I wonder why they don’t bring back perimeter frames for the (now) niche of the SUV market that doesn’t want a straight unibody. They never left- just look under the full-size units. That’s the difference between a CUV and a SUV. The SUV was designed on a truck chassis, not a car. The exception here might be Subaru- the only crossover that was designed as a SUV from the start, and adapted to sedans/wagons. Sorry, that was a lazy second attempt – my original post that the system ate made it clearer that I was talking about a perimeter frame as opposed to a pickup-style ladder frame which is what most BOF SUVs have that limits floor-to-ceiling height. Right. There are no real merits to a perimeter frame versus a unibody setup. You may as well either go full ladder-frame, or make it unibody. What would be really interesting is to see GM’s cruciform (X) frame reincarnated. It was discontinued after 1964 for every model other than the Buick Riviera. Perhaps on some niche sports car? Didn’t GM discontinue the cruciform frame because of safety issues and the tendency for the bodies to sag as the cars aged? I would think it would be difficult (and expensive) to engineer a car with the “X” frame that would meet the side impact safety requirements. @mmack. 10-12 mpg isn’t that bad for a 6,000 lb brick. Nissan’s not up to standard on mileage. Last year I drove a Escalade up from Eugene and got close to 20 mpg. Considering over 400HP and almost three tons of weight, along with the aerodynamics of a barn… it isn’t that bad. And considering any of the big GM SUV’s run $75K on up, the cost of fuel really shouldn’t be an issue. @nlpnt. Ah- perimeter frame has some real structural deficiencies compared to the ladder frame. Now consider the towing capacity these vehicles have, a combined weight of 12,000+ lbs isn’t out of the question. Strength counts more than weight savings here. You can’t really compare 10-12mpg in the low speed gridlock of Hawaii to I-5 from Eugene to Portland. No way does that Escalade get 20mpg on the Portland morning commute for example especially with Tom’s heavy foot. Of course not- 12-13 mpg is doable though with a careful foot. Great story on that one- Hertz renter learned it’s not a good idea to outrun the Lane County Sheriff. I was tasked with retrieving it. In town driving with the bigger rigs is a killer, but on the road you’d expect a larger difference than there is. My Charger and Mrs. Bear’s Camry are about 10 mpg apart in commuting (I’m less than 2 mi. from work though). On the highway, that difference shrinks to 2-3 mpg. All those articles that talk about the great shock of the death of the sedan should read this quote. Yeah, it is a very insightful quote that puts things into perspective perfectly. The Nissan Armada is now a North America version of the Nissan Patrol. As a traditional truck-based, body on frame SUV, it’s also a dying breed as the CUV craze is also slowly killing off vehicles like these just like it’s doing to sedans at the other end of the spectrum. That it is a truck-based SUV that wasn’t really even designed for North America is a big part of why it’s so practical (albeit fuel inefficient) and also why it stands out in the crowd of car-based CUVs which are designed almost exclusively to be sold in North America. 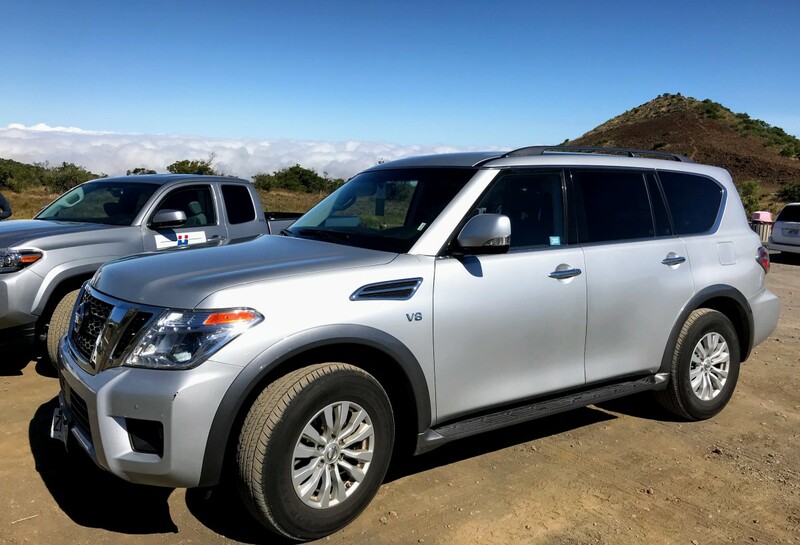 I’m actually surprised in 2015 when Nissan decided to replace the old Titan-based Armada that they just didn’t turn it into a beefed up Altima and make the Armada into the Nissan version of the Honda Pilot or the Toyota Highlander. Then again, it seems that Nissan does like to be different at times. What it really is is a just barely decontented version of the big Infiniti. If you compare them the exterior difference is mainly the bumpers, most if not all body panels are identical. In the top level trim even the inside is 98% the same, the biggest visual difference is the clock. The Nissan is a phenomenal value if you were considering the Infiniti. I was able to compare them at a CarMax when they happened to have both parked side by side, I was surprised at how minimal the differences were. Look at both websites and go back and forth, you’ll see the same. I seem to get one of these large Nissans every time I rent a large SUV, and I’ve gotten both the Nissan and Infiniti versions. Jim is 100% correct in that the Nissan and Infiniti are 98% identical. One big difference. The Infinity QX80 comes with the Air Suspension. If Mercedes couldn’t build a reliable Air Suspension on their GL, what made Nissan think they’d have better luck? (@ Hertz, that was an ongoing issue- and we had a lot of the big Infinities). To take that one step further, Lexus bombed on this as well. If they can’t do it, no one can. And it was designed with North America firmly in mind – it’s too big and way too thirsty for Australia, where the old model was a good seller and had a great reputation for toughness. But this one? Only a gas V8, no diesel – really? No sale! I’ve no idea what my brother-in-law will buy when he needs to replace his Patrol, but it won’t be one of these. Nobody was forced to buy a Harley Earl design, but millions did for decades. Why? Because they felt excited, stylish and proud to own them. They felt admired when they were seen driving them. Longer, lower and wider meant speed and space. Massive trunks handled long trips and local errands. Why the hell would you pick a car so it could carry a washing machine? Delivery trucks do those jobs. A friend and his wife have been wanting to replace their Lexus with something better in the ice and snow on the hill they live on. They thought they wanted a CUV or an SUV, so they went out and drove some. Hated them all. Too clunky, too ugly, too boring to drive. Not as much space inside as they thought either. So they looked at some AWD cars. Put off by Toyota/Lexus styling insanity, they ended up with a 3-series BMW sedan with xDrive. They’re thrilled, excited and proud of this car. You hit the nail on the head with the excitement. But that’s something that’s sadly missing from much of the market today. Designers seem to have forgotten to include the excitement factor, adding superficial surface excitement rather than styling a pleasing basic form in the first place (above BMW excepted). Cars seem to have degenerated to becoming a mere transportation appliance. And the (lack of) colour choice reflects that. That’s exactly what a former co-worker always did. Put his Citroën C5 in the high(est) ride-position and off he went, into the woods. Visiting a client. Yeah, without a diesel a rig that big is just too thirsty for the rest of the world. I’ve never been able to identify why exactly I find the Armada’s design somewhat displeasing, but I think some of your observations shed some light on this for me. 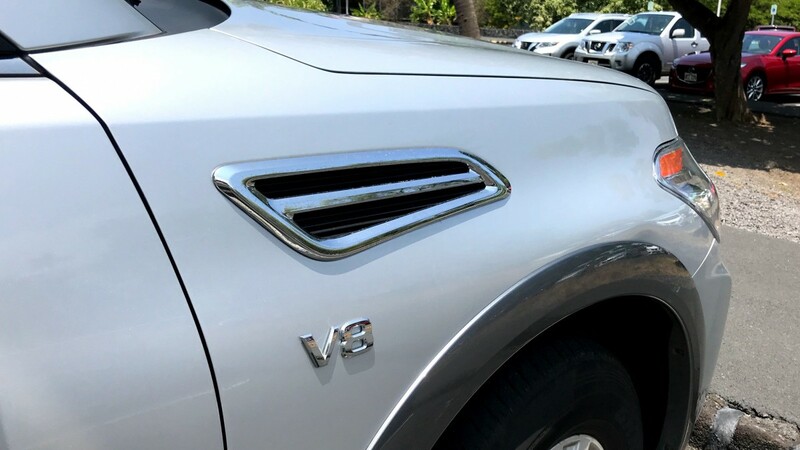 In examining the design closely now, it seems retrograde — not really “retro” but just a mish-mash of styling clues from big cars of the last several decades, all thrown together onto an SUV body. I can’t speak to the driving/utility merits of each, but from a purely visual standpoint, the Armada is a distant runner-up to the Expedition, Tahoe, etc. 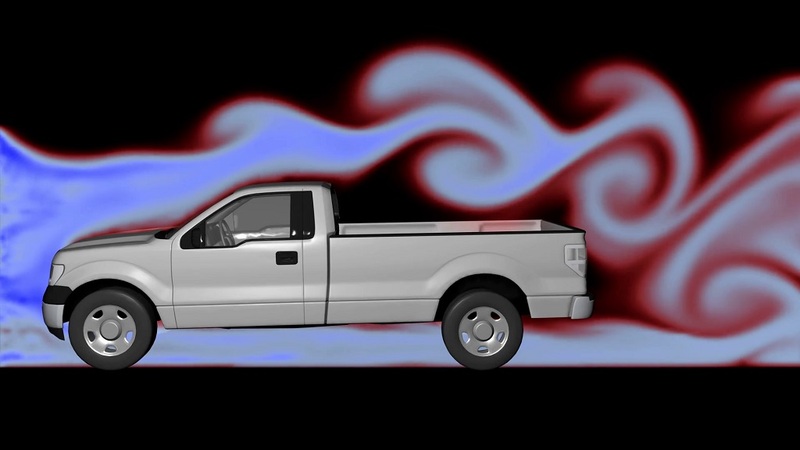 Paul, I think it’s a good time for you to repost your Automotive Aerodynamics series, and for me to update my post, Automotive Aerodynamics: Drag Area – Size Matters. They certainly still apply. Man, that rear bumper needs its own zip code!